This is Leading by Example. This is Auburn Engineering. Nima Shamsaei and Scott Thompson, associate professors of mechanical engineering like to think — and print three dimensionally. 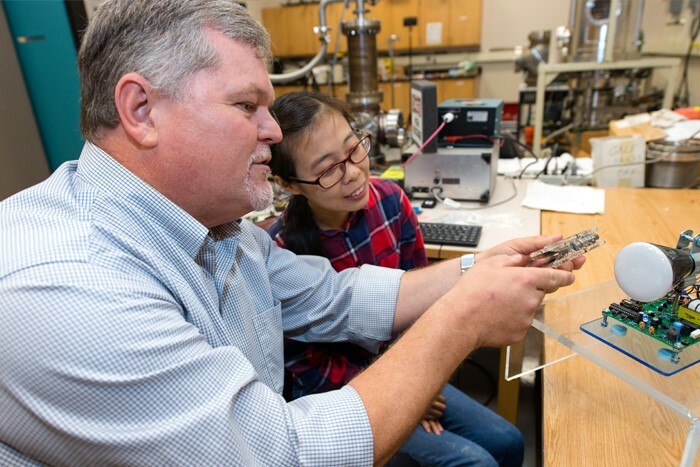 As the co-directors of the Laboratory for Fatigue and Additive Manufacturing Excellence, they are eager to showcase the capabilities of additive manufacturing, and the impact it could have on changing the future of many industries. Both Shamsaei and Thompson use the FAME lab to specialize in mechanical fatigue and failure analysis. After fabricating components on a 3-D printer, the laboratory staff can evaluate their integrity on various fatigue-testing machines. Their testing and research is pushing the development of 3-D manufacturing of custom parts once thought not printable, from lasers and metal powder. Shamsaei and Thompson are passionate about expressing the importance of characterizing, understanding and designing for the structural integrity of additively manufactured components. Their research and partnerships have enabled them to evaluate the additive manufacturing process and determine how to streamline it for a company’s benefit. But that doesn’t come without its challenges. The most difficult aspect of additive manufacturing is developing the “magical formula” so any part that is printed will work effectively, efficiently and over an extended period of time, according to Thompson. Speaking of impact, the FAME lab is already making one with 10 doctoral students working under the direction of Shamsaei and Thompson, and they’re now recruiting undergraduate students. The goal, Thompson says, is to expose students early on in the additive manufacturing process and enable them to develop those skills so they can become the knowledge experts companies are currently seeking. Thompson and Shamsaei’s goal is to create a “make and break” lab that encourages students to test and develop 3-D printed parts that could change the way companies mass produce anything from an airplane part to a biomedical implant. If they can achieve that level of excellence in their students, then they know they are capable of rising to industry challenges. “We want to have the most successful graduates from our lab and go on to be the future scientists and engineers who make a difference in industrial sectors and national laboratories,” Shamsaei said. To learn more about Shamsaei’s and Thompson’s 3-D printing research, please visit the FAME lab website: http://www.fame.auburn.edu/. Opening new doors for small businesses with additive technology. 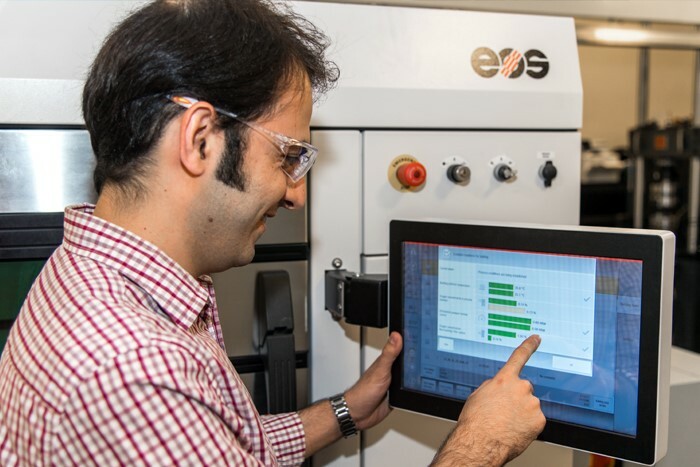 Sponsored by a $1.5 million National Institute of Standards and Technology grant, engineering faculty at Auburn University are helping make additive manufacturing a reality for small manufacturers.